As you might imagine, I have a gigantic soft spot for fries, gravy, meat and cheese. Separately, each of these rocks my world. Faced with them together? I get instantly weak-kneed. 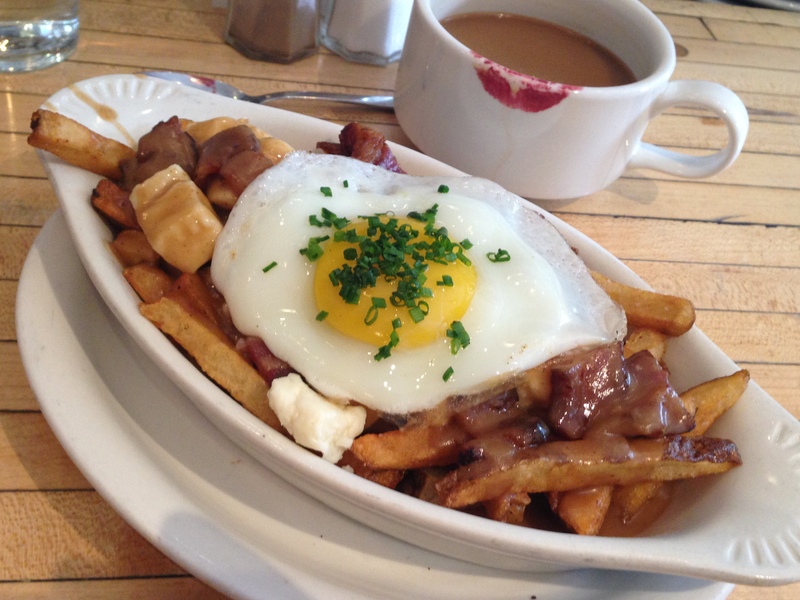 Recently, I’ve had the extremely good fortune of living near Mile End Delicatessen, a little New York City mini chain that specializes in poutine, that scrumptious Canadian dish that combines fries with cheese curds and meat gravy.